The crime novel, as a visit to any good bookshop will tell you, is a huge category, and I would never claim to know the definitive method of constructing and writing one; I can only go from my own experience of writing for TV shows like Silent Witness and Wire in the Blood, and the crime novel trilogy that started with Crusher. The best place to start is with a story that fascinates you as a writer. If you feel excited writing it there’s a far better chance your readers will feel excited too. Real life is always the best source of stories, but never rely on newspapers or TV for the whole truth: journalists often omit inconvenient facts, or simply get stuff wrong, and TV writers constantly cheat and fudge reality to make their story work better, or to fit a timeslot or a budget. Recycling other writers’ work is not good writing any more than reheating a supermarket meal in a plastic tray is good cooking – research is essential if you want your tale to ring true. That means getting as close to an original source as possible. If you want to know what happens in a post-mortem, go to a hospital and talk to a pathologist. If you want to know about police procedure, speak to a detective at your local station. Be persistent, and you’ll find a contact. Experts love talking about their work to intelligent, interested listeners (and that’s true of ex-criminals too.) Good research will lead you to stories far more interesting and original than anything you could dream up at your desk. That said, never let authentic details drown out your story; your job is to entertain your readers, not lecture them. To write a crime novel, of course, you need a crime. The murder story is as old as the Bible (if you count Cain and Abel) and the crime I chose to kick off Crusher. Next you need a protagonist to unravel the mystery – not just whodunnit, but why. You might use a copper, or a criminal, a private eye or (as in Crusher) a relative of the victim who feels compelled to seek justice. It might even be a combination of all three, if you want to get clever – but the audience will always want to follow a character who drives the story forward, whether they are doing good deeds or bad. Next, you need a motive for the crime – or preferably several motives, all equally feasible. In Crusher the possible motives were jealousy, anger, or cover-up. These various motives in turn suggest various suspects: who was jealous, who was angry, who wanted to cover up what? All these motives should spring from their own stories, so when your protagonist unpicks them even the false leads have a satisfying payoff. Rather than waiting for the answers to fall into his or her lap your hero should pursue these leads actively, by talking to suspects, uncovering lies, and examining the evidence for clues. The trick, of course, is to try and make these clues obscure and ambiguous, so they only make sense in hindsight when the villain is revealed; that’s what gives the most satisfaction to the attentive reader. In the same way, it’s more satisfying for the reader if the killer features in plain sight from very early on (ideally with a ‘rock-solid’ alibi) rather than appearing from nowhere towards the end of the story. This annoying cop-out is known as deus-ex-machina, from old dramas when an actor playing a god would be lowered by a crane onto the stage to tie up the play’s loose ends, and it leaves your audience feeling cheated. Always try to resolve your story through the actions of your characters, rather than by coincidence or accident. 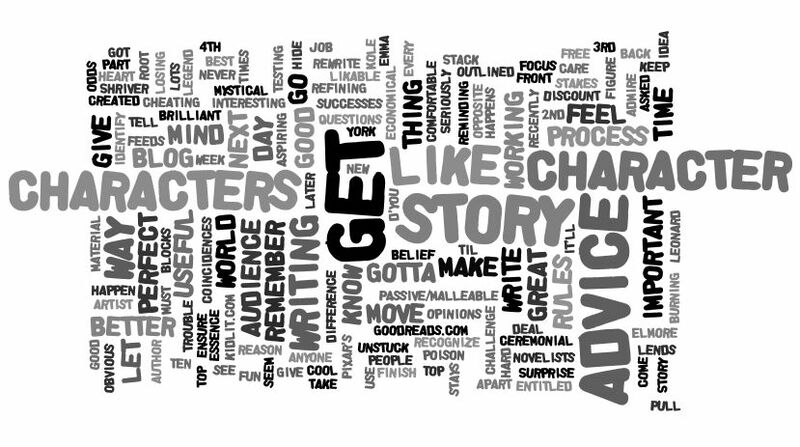 If you know before you start writing exactly who did what (and I always have to) it’s relatively straightforward to hide the clues that will lead to the ultimate revelation; but sometimes as you are writing a new more satisfying resolution to a storyline will occur to you. In that case you have to work backwards through the text planting new clues that lead to the new payoff. It’s hard work, but when you get it right you create a roller-coaster ride for your audience – and the buzz you get from that is like nothing else on earth. That’s just as well, because few writers make a good living from their novels; even today’s most successful crime novelists took years to get established. Perseverance, patience and resilience are essential. The best reason to write is because you love it – and if you really love it, you won’t be able to stop yourself, and the more you do it, the better you’ll get.